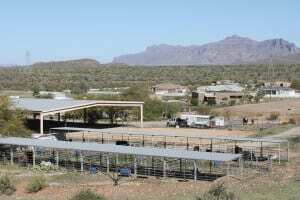 Our ranch is located in Pinal County in South Central Arizona. We are blessed with some very temperate weather though it can surely get very hot during summer months. We do not, however, get snow or blistering cold days. Most of our “coldest” days are in the 40’s though they are not that common. Our landscape is lovely with desert, buttes, mountains, and cactus plants all around us. Mules work well for us as they can tolerate the heat better than most horses and their water consumption is a tad easier to manage as well. As you may know, mules are the animals of choice for Grand Canyon trips, not only because they are known to be sure footed, but also because they can perform the job in the hot and dry conditions. We are a working ranch. Our business is mules. So while we have some outstanding riding opportunities, we are not open to the public for trail access. We train mules to pack, drive, and ride and our lands are used for animals in training and for accommodating our guests and students. There are several options for those who come to work with us. 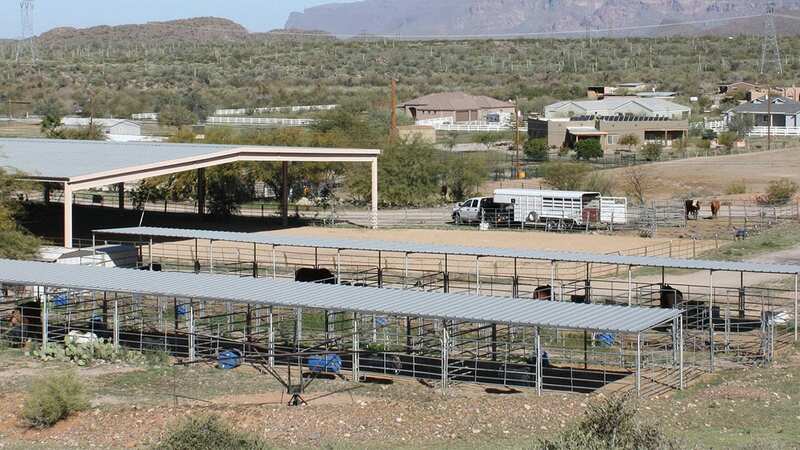 While we are not terribly far from big cities like Mesa (less than 30 miles), Scottsdale (right around 40 miles) and Phoenix (just shy of 50 miles), we have accommodations right on the ranch. Should you decide to visit us, we will share the options with you. I live on the ranch with my wonderful wife, Susan. We have been together following our dreams since 1968. Susan is the bookkeeper and “party planner” (code for event coordinator) for our pack trips. She also watches over many of the day to day details of the ranch. She is the real “trail boss” truth be told! All kidding aside, she is as passionate about our work as I am and our work is truly a labor of love. So long story short, if you come to the ranch, you are not far from a major airport. If you are trucking in, the ride is breathtaking and we are happy to share our home with you. Visit our accommodations page to learn about camping, our guest houses, and stalls for your animals. Please be sure to review our pet policy as well.